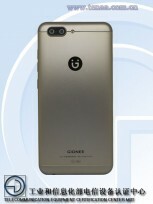 Two months ago Gionee announced its first selfie-centered smartphones - the Gionee A1 (along with the bigger A1 Plus) and now another phone from the Chinese company is coming to town. 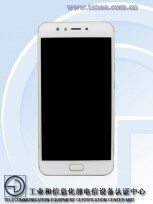 The Gionee S10 appeared on TENAA along with most of the specs. 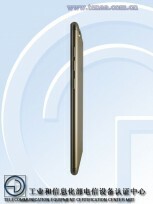 The Gionee S10 has 5.5” screen with Full HD resolution and is powered by 2.0 GHz octa-core CPU. The RAM is 4GB, and there is 64 GB internal storage, expandable to 128 GB via microSD card. The device runs on Android 7.0, but we expect to see the Amigo OS 4.0 (or above) on top of it. Dual-camera setup is not a new concept to Gionee - the predecessor S9 had 13 MP + 5 MP. Gionee upgraded this feature, and now there are two 13 MP cameras on the back and a 16 MP one on the front. The home button doubles as a fingerprint scanner though some of you might think the circular logo on the back is the sensor. The color options are two - Black and Gold. There is still no official information about pricing and availability but it would be announced soon so stand by. If is Snapdragon 625 it would be a decent deal. Better than XA Ultra.